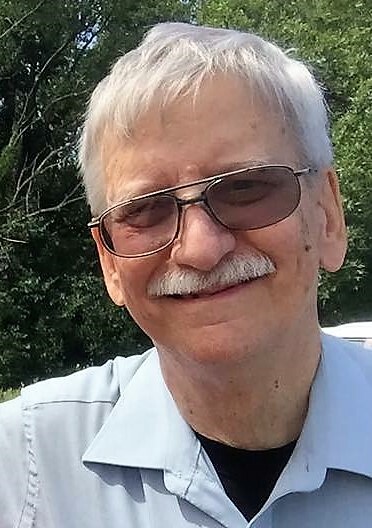 John Karl Gerstmann, 70, passed away Tuesday, January 22nd, at LifeSong Residence in Fergus Falls, Minnesota. John was born May 26th, 1948 in Seattle, Washington, the third of four children. He was a member of Immanuel Lutheran Brethren Church in Eugene, Oregon where he attended for many years with his family. He graduated from Eugene High School in 1966 and Oregon State University in 1970 with a major in electrical engineering. After college, John served for three years with the Christian Service Corps at Radio Lumiere of the West Indies Mission in Haiti where he installed and maintained Christian radio communication towers. His missionary heart led him to Lutheran Brethren (LB) Seminary in Fergus Falls, Minnesota. While attending seminary, he met Carolee Raun (daughter of Rev and Mrs Donald Raun, missionaries to Chad, Africa) who was enrolled at LB Bible School. They were married in 1977. After being commissioned by the LB Mission Board, John and Carolee spent six months at Le Chambon-sur-Lignon French language program in preparation for service as African missionaries. In 1978, John and Carolee began their work as missionaries to the Giziga (or Guiziga) people of Cameroon. During the 17 years spent in Cameroon, John participated in translation of the New Testament and portions of the Old Testament into Giziga. He also taught in the Giziga Bible School and Cameroon Synodical Seminary. His last two years brought him to the north of the country with the goal of Muslim outreach. Four beautiful children were born to John and Carolee in Cameroon. John cherished time with family, fellow missionaries, and African friends and was known for his witty humor, language ability, cultural sensitivity, and love of nature. He spoke with admiration of his rich Scandinavian and German heritage and the Godly example set by those who had gone on before him. The Gerstmann family left Cameroon in 1995 and returned to the Midwest where John spent his remaining days. In 2011 John returned to Cameroon to celebrate the dedication of the entire Bible into Giziga (as it had been completed by the translation team after he left Africa.) This visit was a highlight in his later years. John is survived by Carolee; daughters, Alyson (Mike) Meyers and Christianne (Brent) Mohrmann; sons Tyson and Trevor (Amber) Gerstmann; grandchildren, Aleythia Grace, Nathan Daniel Giziga, Henning Isaiah John, Aodhan Esmond Trevor, and Jocelyn Eloise; brother Joel (Linda) Gerstmann; sisters Diane Ledgerwood and Marie Hartman; niece Ingrid (Jay) Yothers and family, niece Ann Ledgerwood, nephew Rian (Eva) Ledgerwood and family, nephew Karsten (Alex) Ledgerwood and family, nephews David and Paul Gerstmann; cousin Robert (Janet Sittig) Taylor and other cousins. John was preceded in death by his grandparents Karl Julius and Else (Schneider) Gerstmann and B. N. “Ben” and Inga (Heistad) Thorsheim; his parents Karl Walter and Drusilla Marie (Thorsheim) Gerstmann; several aunts and uncles; his brother-in-law Roy Ledgerwood and his brother-in-law Randy Hartman. A special thank you to the staff at LB Hospice for their loving care and support during John’s final months, as well as the caregivers at LifeSong Residence. The family would like to thank Glende-Nilson Funeral Home for handling the final arrangements. A memorial service will be held in Fergus Falls at a later date.